Have you seen the eBosser? Craftwell is coming out with the eBosser. We all love the look of embossed paper but sometimes we feel limited by the folder sizes. Then, if we want to emboss a larger paper, we have to maneuver it in order to have the whole sheet embossed. 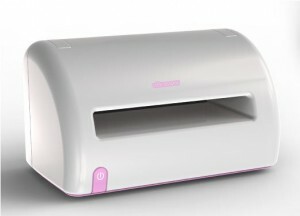 Well, the eBosser is the new embosser machine that will allow you to emboss letter size paper and A4 paper. You will be able to use any of the other embossing folders that you already have. 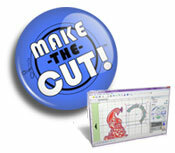 It doesn’t stop there; you will be able to use it for cutting dies also. It can cut through materials up to 3mm thick, including thin leather. The eBosser is a fully automated electric embossing machine, which is an advantage for people that suffer with any kind of pain in their hands. The larger embossing folders will be available soon from Craftwell, but remember, you can make your own embossing folders or embossing plates by pasting three or four different layers of shapes onto a cardstock. I will be writing a tutorial how to do this. I like to create my own plates since that is a wonderful way to save money and also to make something unique.